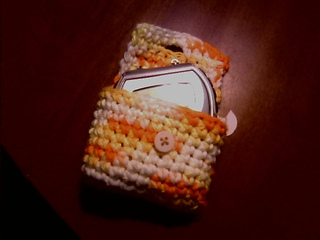 This cozy is for the iPod Nano with Video. 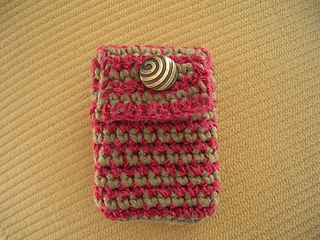 However instructions are included for making a cozy for any device of any size. 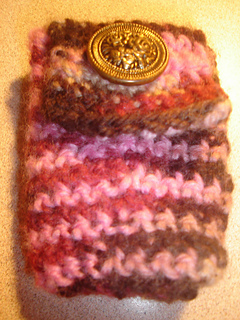 Gauge isn’t hugely important here - as long as the width of the cozy wraps completely around your Nano with a bit extra, you’ll be fine. Use whatever hook suits your yarn best. Would look really good in a striping, variegated or brightly coloured yarn. Some edging in another colour would also really make it look special.